Please note: I wrote this short MPC1000 review back in 2007 and since then there have been enough changes in the operating system (Akai version) of the MPC1000 and also the MPC1000 hardware to warrant some minor updates. It’s also worth noting that since the release of the MPC1000, Akai released the MPC2500 and MPC5000. In my opinion the MPC2500 is really the more like for like upgrade for the MPC2000XL user (from a hardware perspective). The MPC 1000 was the first MPC created in the Numark-era of the Akai brand (if you ignore the blue ‘special edition’ MPC2000XL and MPC4000 they initiially released). It was basically the first compact MPC, with an operating system much improved over the MPC2000XL, yet a very big step backwards from the OS run by the MPC4000. Initial units were plagued with poorly design pads with a high failure rate, which initially required a ‘pad fix’ kit to remedy (which unfortunately cost nearly $200 to purchase). Newer units featured the improved pads as standard – if buying an MPC1000 second hand, you should look for the black units with the black backplate, not the silver/gold backplate – definitely avoid the blue MPC1000s unless they have the pad fix already installed. The MPC1000 OS has received a few updates and is currently on OS 2.13, which should be thought of as the final OS – it looks like the MPC1000 has now been unofficially discontinued. There is however a third party OS available, the JJOS, which fixes the last remaining bugs and adds a few additional features. JJOS comes in both free and commercial flavours – I have plenty of resources for JJOS around this site. On the downside, the following XL features are missing from the MPC 1000. Can only have 6 outs, not 10 like the XL. Use of Q-sliders to change mixer controls (volume & panning), plus set start and end trim/loop points quickly. The 1000 has 5MB of internal Flash memory to use for your favourite sounds. The old DRUM holder system is gone, programs are just assigned directly to a track rather than being first placed in a DRUM holder and that holder being assigned to a track. That said, unfortunately, program params on a layered pad apply to the whole pad – you can’t assign unique attack or filter to each layer. Effects are built in and now include compression, eq and bit grunging. Memory upgrade is easy due to dedicated memory entry plate on the base of the unit. Will take standard laptop memory. No APS file anymore. Saving all program & samples just saves each individual program with its samples. Project files save the entire memory including all sequences and effects. You can process external audio sources through your MPC – IPT files allow you record processing data. The memory card slot is poor – 70% of the time the card doesn’t ‘like’ going in, as it has to be placed in ‘just right’. Patience is in order, or the internal pins could probably bend quite easily. Update: To be honest, I think this is an inherent problem with all CF card readers. Improved slicing feature – now you can add a timestretched decay on the end of each chop (like recycle) rather than the old XL method which just ‘borrowed’ a few samples from the slice in front of it (leading to clicks). You can also chop up to 64 slices. Downside to slicing is that it converts stereo to mono (fixed in 2.13, but chopping speed is now painfully slow). Also you cannot apply edits like reverse to each slice while in the slice screen like you could with the XL. Patched phrase means you can take a loop, zone it and create a single new sample that will expand in real time to fit the BPM of the beat you are creating. Very nice, although like slicing, stereo samples are converted to mono. Basically, I like the MPC1000. It’s dirt cheap, has most of the MPC2000XL’s features and some very nice extras. If this is to be your first MPC, then yes, it’s great value for money. 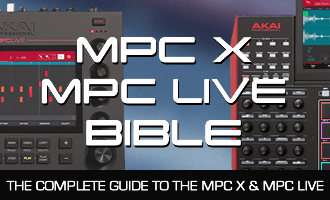 If you are an existing MPC2000Xl user, then it’s a hard choice as to whether you’d want to convert over completely as I do feel the XL has a better build quality, has a better pad feel and is generally a more pro machine, but in the end, the 1000 addresses a lot of my gripes with the XL (better computer support, faster processor, built in effects, improved OS, LFO, more memory capability, hard drive option, etc, so my recommendation is to get the 1000 only if these new features seem important to you. If not, stick with your XL or even get both. 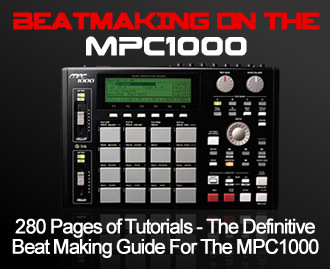 Tthe last list is referring to MPC 1000 features & improvement. I’ve edited to make this more clear. Cheers, yes when I wrote this article (7 or 8 years ago) we didn’t know for sure about the pads – I will get this updated, thanks for pointing this out.